Simply put, eat slower. Easy to say but this can be a challenging – yet very impactful – habit to practice. First, simply be aware of how you eating today. Did you practically inhale that meal? Did you finish your plate without any recollection or awareness of actually eating? This can actually be very common. But when we slow down and become more aware of what – and how – we are eating many things improve. Nutrient absorption tends to improve. Our relationship with foods can become healthier. We can gain a better understanding of why we eat what we eat. Overall body composition, health, and wellness tend to improve. It sounds too simple to be true. All I ask is that you give it a try. And for extra help check out the Resources section “The Hunger Game” worksheet provided for you. For the next few days simply become more aware of how you eat – fast, slow, tense, relaxed, etc. You do not even need to change a thing – just notice how you eat. If you find you may be able to eat slower then give it a shot when you have the most free time, maybe dinner, to enjoy a slower paced meal. Here are some helpful tools I’ve used to assess and measure progress throughout my recovery and health management with my IBD. Empathize and connect – remember “Habit #3”? Listen and observe carefully – our bodies send us signals all the time. Listen to your gut and I’ll bet you observe helpful info. Looks for patterns – if doing “x” usually causes “y” (and we want more of “y”) then do more of “x”. If we notice that pattern we can gain improvements. Consider what will be effective right now ­– if you are in a hospital right now, follow the doctor’s advice to get you healthy enough to be released. Worrying about what will happen 6 months or 6 years from now is not very effective. Trust your gut – there is a direct link between our guts and our brains. Each shares information with the other. If you feel it in your gut then that is usually something to consider and look into. Using the saying “what gets measured gets managed” helps us gain awareness of our current situation and actions. The above tools will get you started on finding something helpful to assess and measure. And as noted in Habit 6, greater awareness fundamentally changes a situation and how we can respond to it. Use this new insight to continue to improve how you feel – and act – with your IBD. Pick 1 assessment tool and use that for 3-7 days in a row to help gain better insight into your progress. If we measure something we are better equipped to improve it. I understand your fears, worries, and anxiety towards food while you live with your IBD. My goal is to arm you in your journey and help strengthen your resolve as your find improved health through good nutrition. Practicing good nutrition with IBD can be challenging, frustrating, and so difficult that we get to the point of wanting to give up, the point of “creative hopelessness” – when we hit the proverbial rock bottom. This challenging moment can be a time of growth and opportunity. Simply reading this book means that change and improvement are on your horizon. I assume that what you have tried and where you are at has not worked as well as you hoped. This nutrition section will help you explore strategies and coping mechanisms that can help you approach nutrition from a more positive, less emotional starting point. 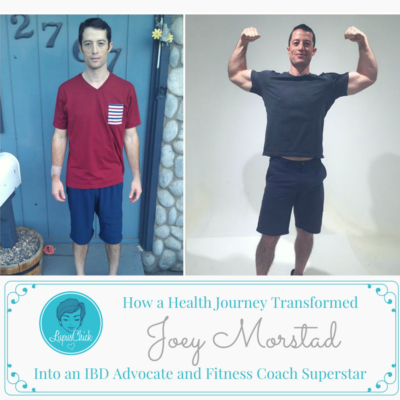 You’ll learn real-world, actionable, simple, and effective methods that anyone with IBD can do to help improve your current relationship with nutrition and most importantly, eat better! Just think about what has been – and/or is currently – working for you and see if you can do that a little more often. She has a great website and Instagram that you should follow! Being patient seems like a difficult characteristic to master for many of my friends. But honestly, the biggest factor that makes me so patient is that I’m selfish when it comes to my health. Living with a chronic illness like IBD makes good health a high priority for me. It’s basically the first filter I use when making most decisions. How will ___________________________impact my health? When I filter life (or as much of it that I can control) through this lens I notice that I naturally tend to choose healthier habits. Yes, going out for drinks was fun when I was in college. But the fatigue, pain, or extra effort to recover just isn’t worth it now. Let’s stay with the drinking example here. In my mid-20s (before my diagnosis) I would agree to go out to clubs and bars with friends. Nothing wrong with that at all. It was just that after a few years of this I began to feel like there was something wrong with me. I never really enjoyed those huge, loud clubs – the “pre-partying” with my friends was fun. Being patient does not equal being a doormat or letting others walk all over me. It’s actually the opposite. I’m patient because it is one of the best practices for my health. I’m patient because I’m focused on selfishly guarding and promoting my health. I’m patient to promote my health. If others enjoy that or see it as a positive characteristic then that’s icing on the cake. Take a deep breath – give yourself this easy to do gift right now. Inhale through the nose, gently hold it, then release the air out your mouth. Do this again a few more times. Does that annoyance still seem worth it? Are you still upset by whatever it was that was bothering you earlier? Practice gratitude – do you have eyes to read this post? Do you have hands, arms, legs? Are you able to work, pay bills, talk/spend time with another human being (in person or online)? Just having access to the interest is pretty amazing. Try to start finding the amazing events happening in your life right now and pretty quickly you’ll find yourself feeling more patient. Why get upset that some stranger on the freeway cut you off this morning! There are simply too many other far more amazing events happening to us right now.